This entry was posted on June 29, 2015 by B4S. 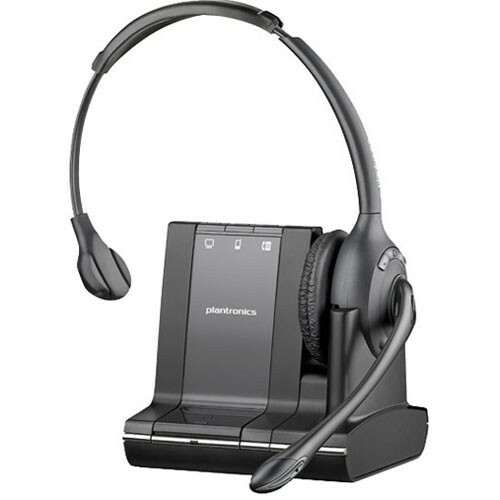 A wireless headset connected to a PC/ Telephone system or unified communications platform can give you or your employees an ease of operation and freedom of movement. 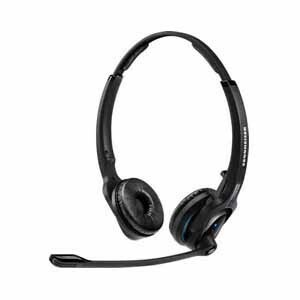 The below headsets are in no particular order and all will deliver great sound and some have particular features which make them particularly suitable for your business processes. 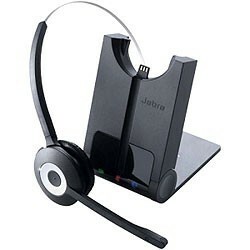 This Jabra designed and built headset is a monaural ( one earpiece ) and perfectly suited to Unified Communications usage as it can access call handling functions via base, headset or computer screen. It is available in three wearing styles and has excellent audio qualities. We really like Jabra headsets sue to their stylish design and slick functionality. 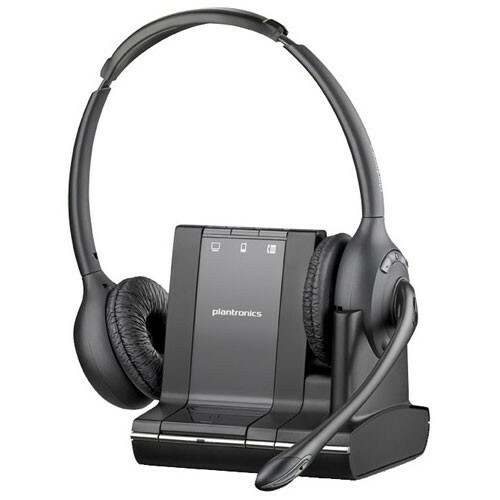 Plantronics' Savi Office range of headsets ae known for their lightweight design and great sound quality with PC wideband audio. This sleek headset allows easy switching between mobile, PC and desk calls via one button. This is the binaural ( two eared ) version of the Savi - the two eared stereo noise cancelling earpieces allow one to concentrate properly on the job in hand, free from background noise - making this a perfect headset for a contact centre operative who also wants the freedom to move around the office whilst on the phone. 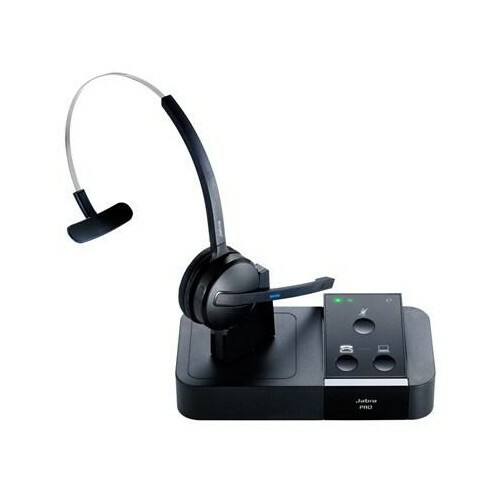 This headset has a great range or up to 350 feet and a one button call and hang up control for UC, mobile or desk calls - the mobile connectivity also allows the option of streaming music via Bluetooth between calls . 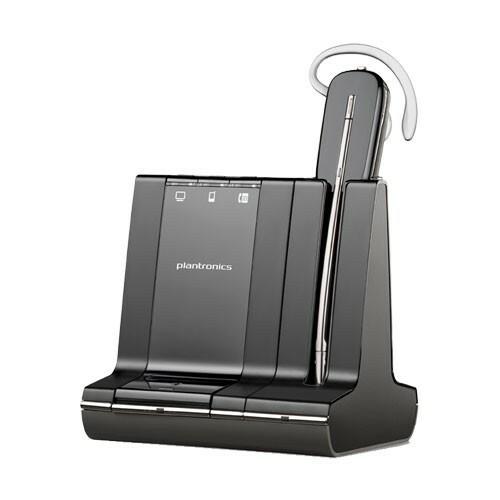 Utilising Digital Signal Processing, SoundGuard and CAT-iq this, premium Plantronics headset can manage your calls across mobile,PC and desk. It has a one touch answer button which can also be used to transfer audio from headset to mobile phone. It is the sort of lightweight, monaural headset which one can wear all day. 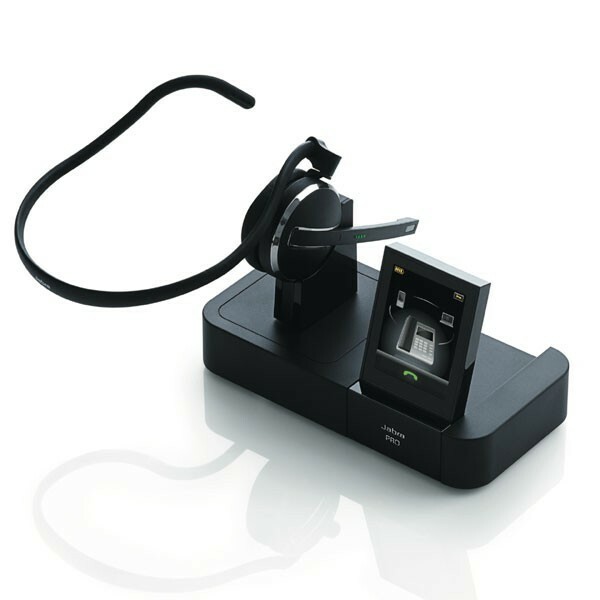 The Savi W740 also allows conferencing between headsets as well as auto update of UC ( Unified Communications ) status. 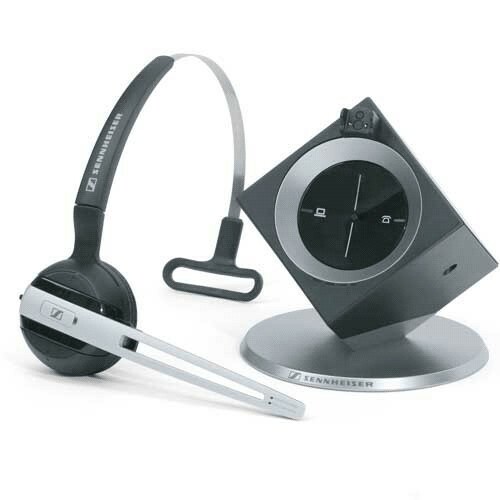 Sennheiser - better known for producing industry leading audio headsets - produce a range of wireless business headsets which are suitable for a range of business environments. The DW10 works via DECT technology - connecting to its base station over a range of 180m. It comes in two wearing styles - either over the head or over the ear. Although this offers unrivalled sound quality, when using this ourselves in the office we were most struck by how good the base/ charging station looks, a trendy cube resting on its corner. 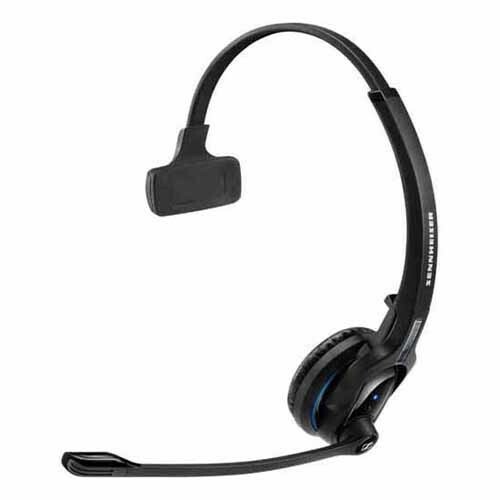 Jabra's 9470 is a lightweight and easy to use headset which has outstanding audio qualities and is really designed for all day use with an adjustable midiboom microphone . It has also been created to work with practically any office or business telephone via RJ11 connection. Used in conjunction with a EHS ( Electronic Hook Switch is basically a robotic arm which lifts up your handset so that you can answer and terminate calls when away from your desk. With Sennheiser's supreme HD sound, ActiveGuard and Bluetooth music streaming these UC compatible headsets represent great value as well as top quality.  They are compatible with Softphones, Mobile phones, Unified Communications, Microsoft Lync and tablets and are lightweight enough to wear all day. The units come with a desk charger stand and a Bluetooth dongle for connectivity.. The Pro 2 from Sennheiser is a binaural Bluetooth headset with the new Room experience which is designed to exteriorise the sound from your head. It is available in Microsoft Lync, Unified Communications or Mobile/ Desk Versions. This, supremely comfortable headset delivers beautiful audio and is a joy to use. Although the CS540 is by no means the most recent cordless headset on the market we could not do a a list of our top ten wireless headsets without mentioning this perennial bestseller. It comes in three wearing styles and works well with an electronic hook switch device when connected to a traditional desk phone. 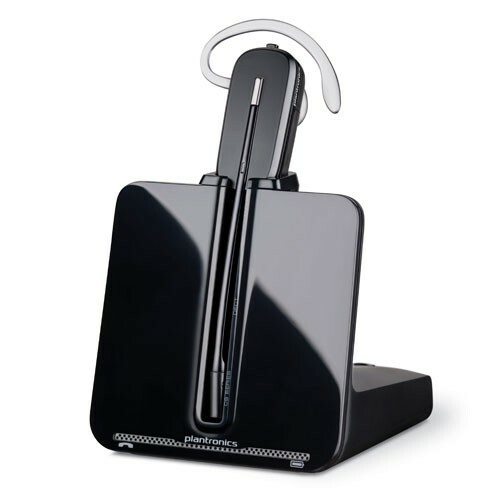 The CS540 is a DECT one eared headset and is renowned for its reliability. Although this headset comes in both MS ( Microsoft Lync ) and normal UC versions the Jabra Pro 930 MS version deserves a mention by its beautifully designed interface with Microsoft Lync which allows an easy operation of functions. The Jabra 930 also has handy audio volume and mute controls. The auto sleep mode is an eco friendly option, saving power when the headset is not in use.